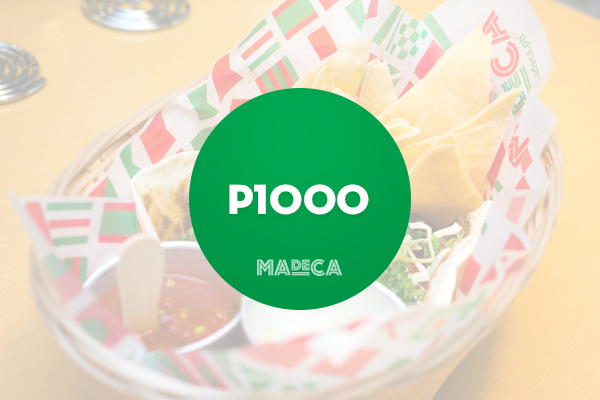 Madeca pays tribute to our history as it merges Filipino and Mexican cuisine in an exciting setting. Madeca is a name inspired from our Galleon Trade with Mexico. This trade can actually be traced back to over 250 years ago. MA stands for Manila and CA stands for aCApulco, thus MADECA. While the concept of Filipino-Mexican cuisine is unfamiliar, history emerges with the powerful suggestion that these two cuisines can be combined into something spectacular. 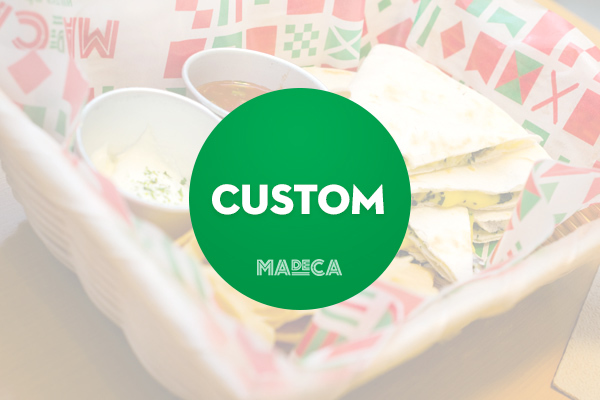 Madeca follows this suggestion and fusions both countries with the best ingredients and recipes. They have dishes for vegetarians and those with a hefty appetite. 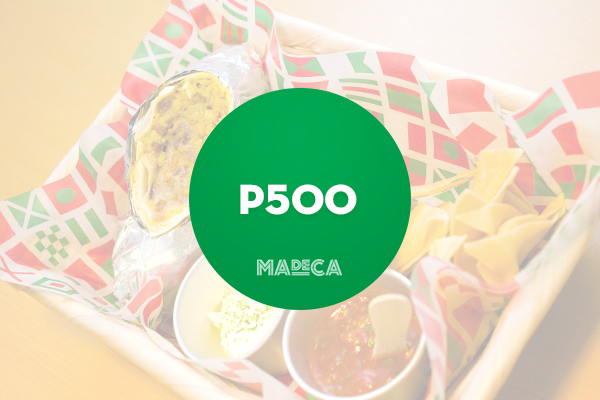 Best-sellers include the Sisig Burrito, Mexikanin meals, and Spinach and Mushroom Quesadillas. 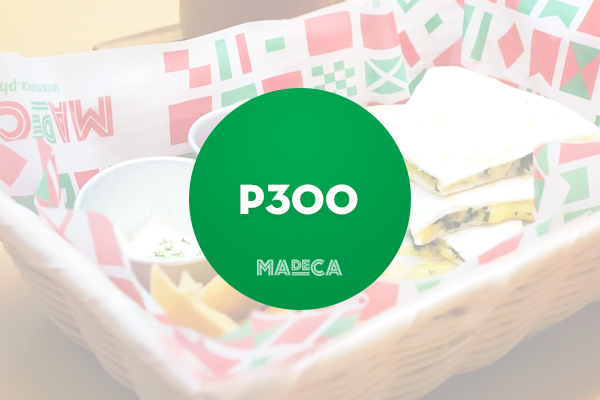 Madeca: food perfect for gifting as it sets the flame of the Filipino’s palate!